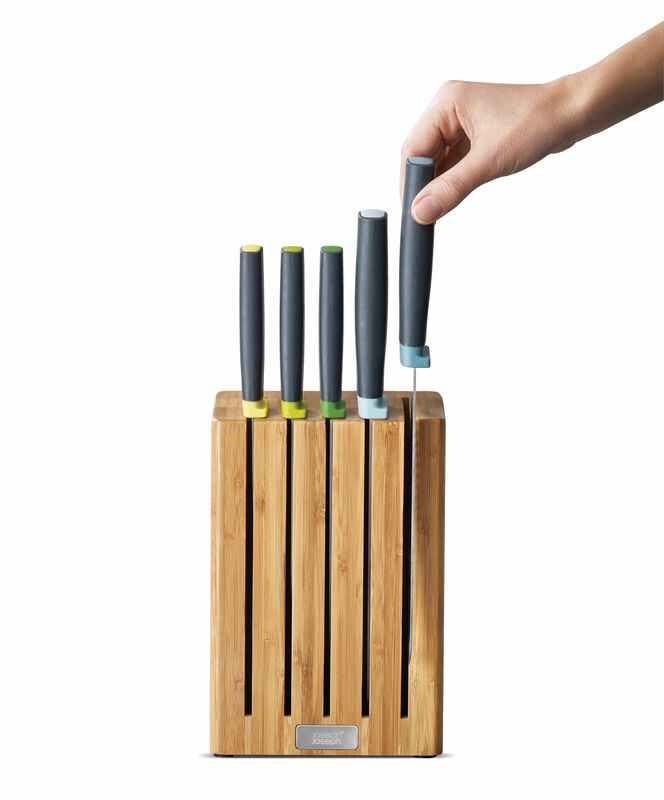 This set includes five essential kitchen knives, each with a Japanese stainless steel blade. 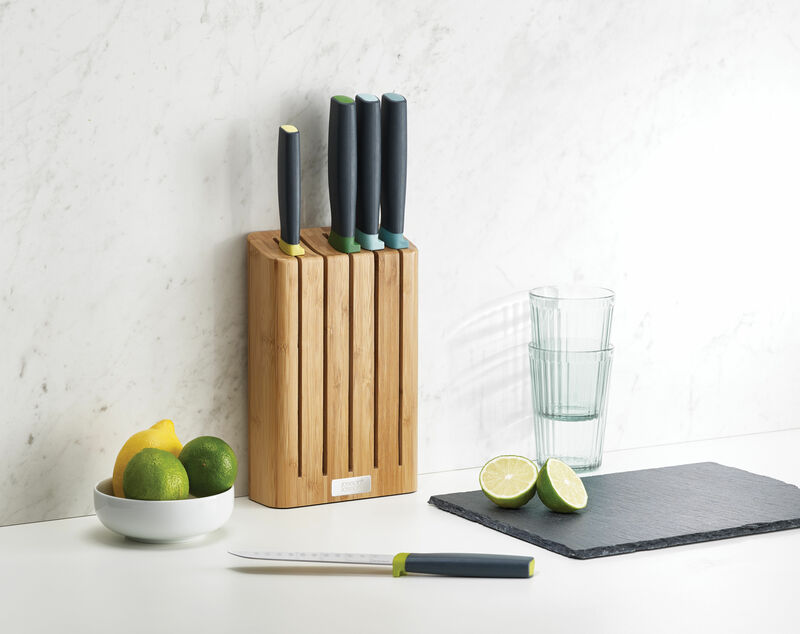 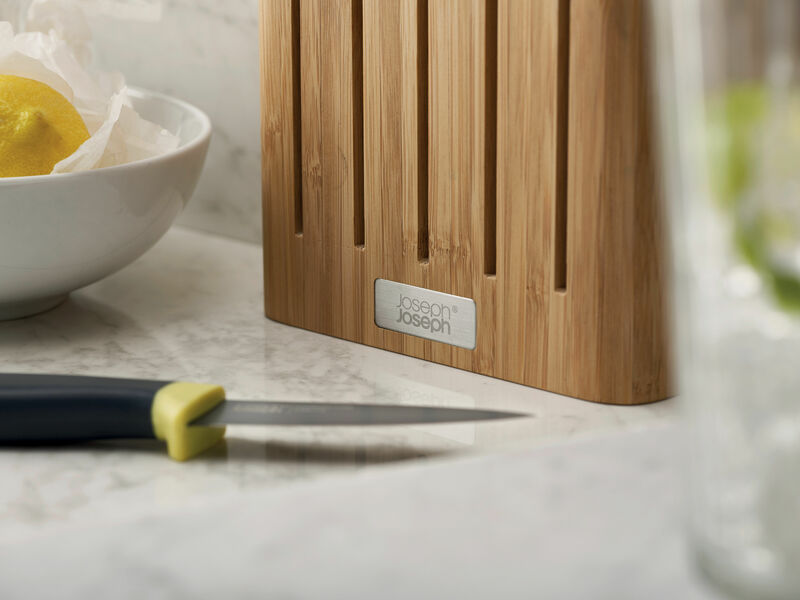 The bamboo block with an extremely flat design takes up less space on the worktop than an ordinary knife block. 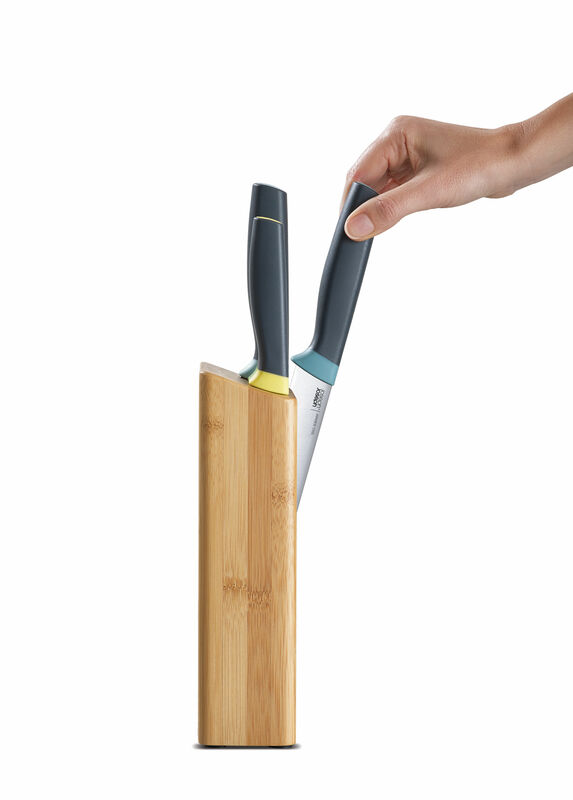 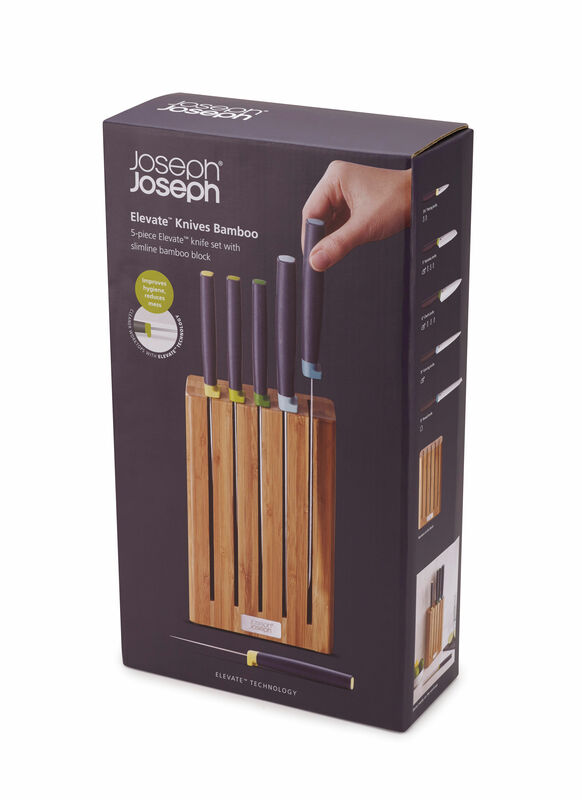 It has non-slip feet and universal magnetic slots letting you store the knives very safely. 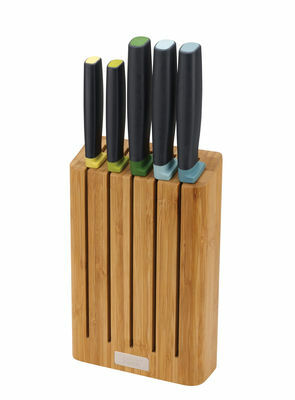 Storing the knife block at the back of the worktop against a wall is recommended. 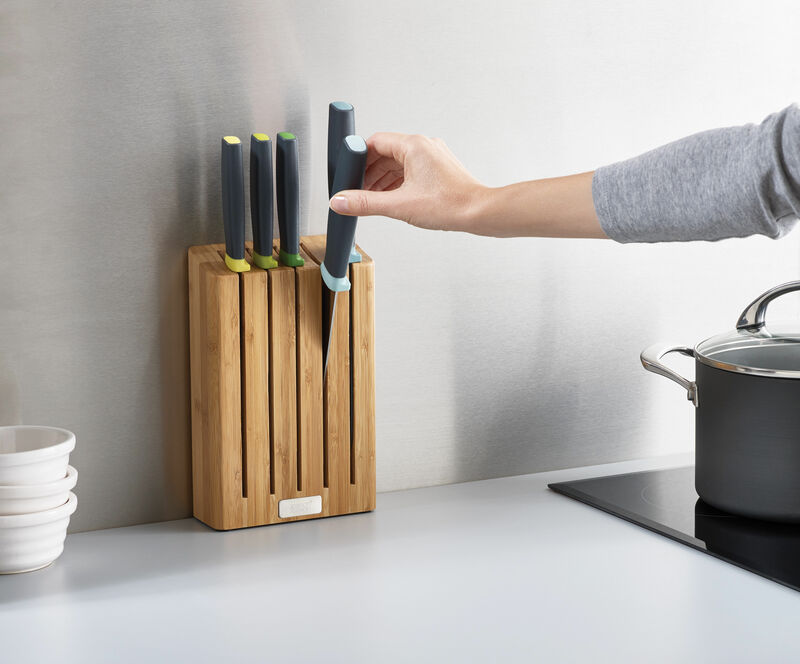 The range of Elevate kitchen utensils was especially designed to maintain a clean and hygienic worktop. 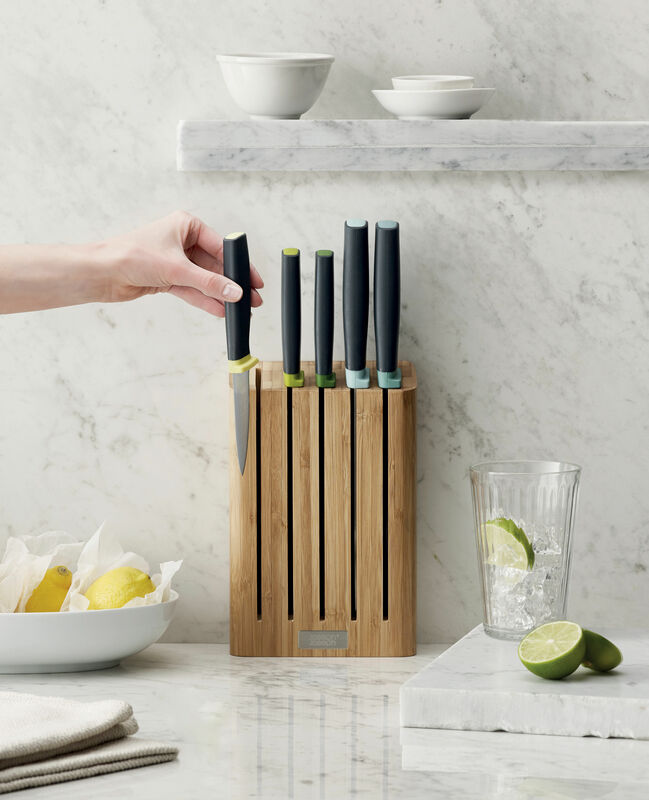 Like all the other utensils from the range, the knives have an innovative handle with built-in rest so that the blade is always raised in relation to the worktop. 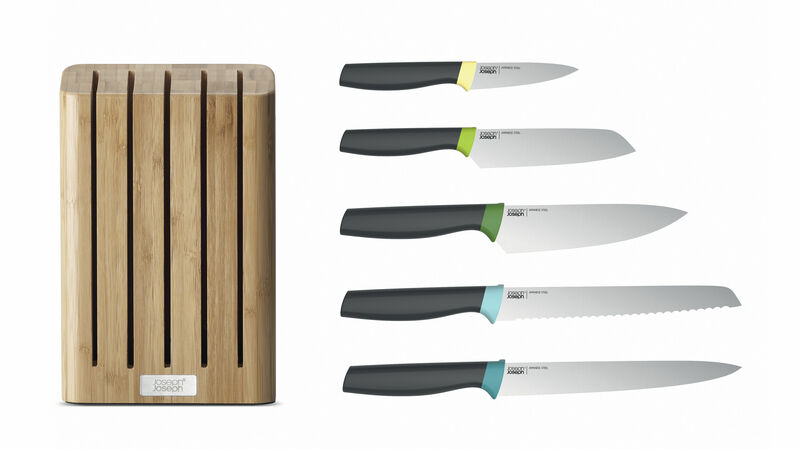 The set includes: a peeler, a Santoku knife, a chef's knife, a bread knife and a carving knife.